The ‘essential masterpiece’ of the evening – Beethoven’s Symphony No. 7 – then follows. At the orchestra’s helm is conductor Manfred Honeck. Of course, Thomas Vandervekens will again be on hand to provide you with all the most essential information about the programme in another unrivalled TOM Talk. 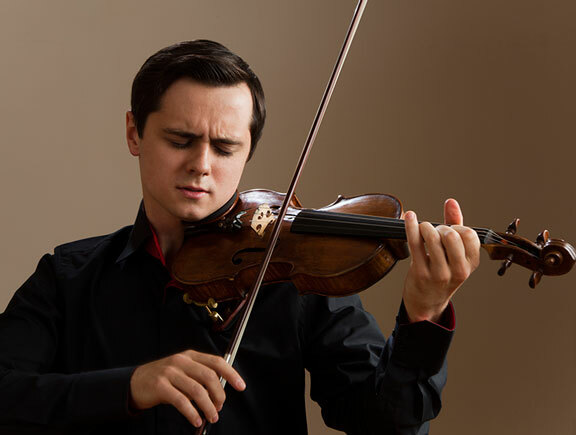 Hailing from Ukraine, rising star Aleksey Semenenko enchants audiences with his violin. Semenenko drew attention early on for what The Strad called his ‘unparalleled level of refined musicianship and stage presence’. He was a finalist at last year’s Queen Elisabeth Competition, after which he undertook an extensive tour with the Orchestre Philharmonique Royal de Liège. Semenenko is making his first appearance with the Royal Concertgebouw Orchestra, performing Tchaikovsky’s Souvenir d’un lieu cher (in the orchestral arrangement by Glazunov). This also marks the orchestra’s first performance of this Romantic ‘mini violin concerto’.